An organist at Notre Dame, Johann Vexo, who was inside the cathedral at the time, told the French newspaper Ouest-France that he didn't smell or see any smoke or flames when the first alarm went off. "Everyone was immobilised by shock for maybe a minute," Vexo said. Minutes later, parishioners and tourists emptied the cathedral, leaving just staff behind. Meanwhile, the rector of Notre Dame, Monsignor Patrick Chauvet, told the French radio station France Inter that the cathedral has fire supervisors tasked with checking the attic no less than three times a day to examine the frame, adding: "In terms of security, I doubt we could have done more." 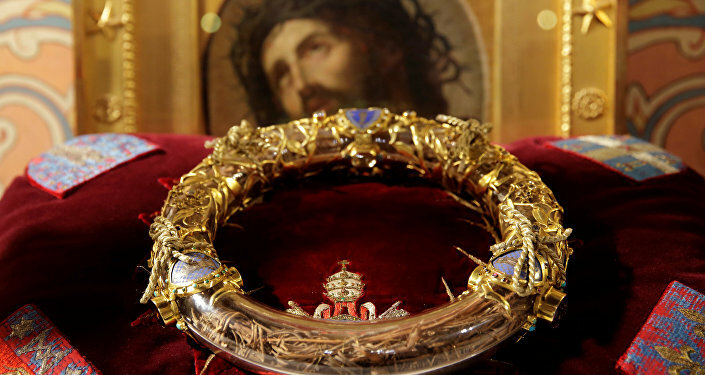 Meanwhile, in a radio interview on Tuesday, Culture Minister Franck Riester said that the cathedral's treasury of irreplaceable Christian relics — the most priceless being the Crown of Thorns believed to have been worn by Jesus Christ, and the tunic of Saint Louis — were safely stored in the Paris city hall, thanks to a heroic rescue effort led by Catholic priest and chaplain of the Paris Fire Brigade, Jean-Marc Fournier, who bravely ventured into the blazing cathedral to retrieve the holy items. French President Emmanuel Macron has vowed to rebuild the cathedral as billionaires and corporations have pledged financial donations to support that effort. France's Heritage Foundation, which has launched a nationwide fundraising campaign for the restoration of the landmark site in the wake of the tragedy, announced that it had already collected 7 million euros to rebuild the cathedral. ​The iconic Gothic cathedral, located in the heart of the French capital, became the scene of a devastating blaze on Monday evening. 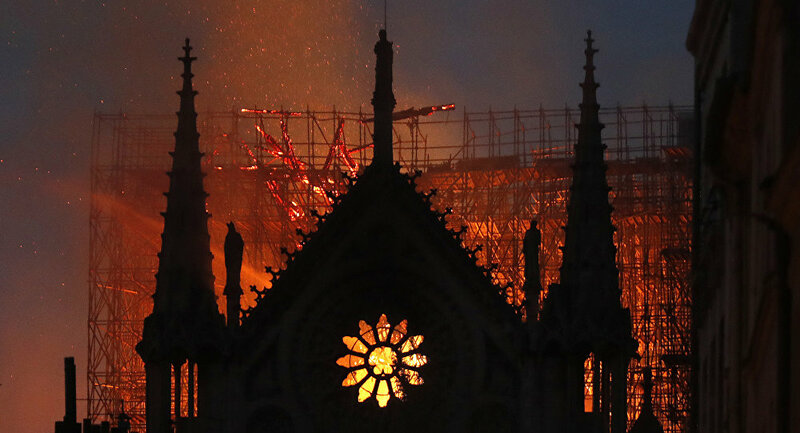 The building was heavily damaged in the fire and two-thirds of the cathedral's wooden roof were destroyed; the main spire and clock collapsed, but the two main towers were saved.